Isaac Newton, the man who effectively gave us, among other things, the theory of motion, light, gravity, optics, and calculus, was a keen diarist – and his notebooks, which he kept throughout his college and latter years, bear testament to this fact. Three years ago, 4000 pages of his diaries and notebooks went online, courtesy of the Cambridge Digital Library. The Newton Project, a fantastic resource which catalogues Isaac Newton’s notebooks, contains – among others – his college notebooks, lists of daily spending, his ever-expanding books documenting his reflections on philosophy, mathematics and science, and his personal notebooks. These are all available to browse freely on the Newton Project website, with added helpful editorial annotations. The most intriguing among these is his list documenting his ‘sins’, drawn up in 1662, at which time Newton was 20 years old. The list sheds light on his personal religious beliefs. 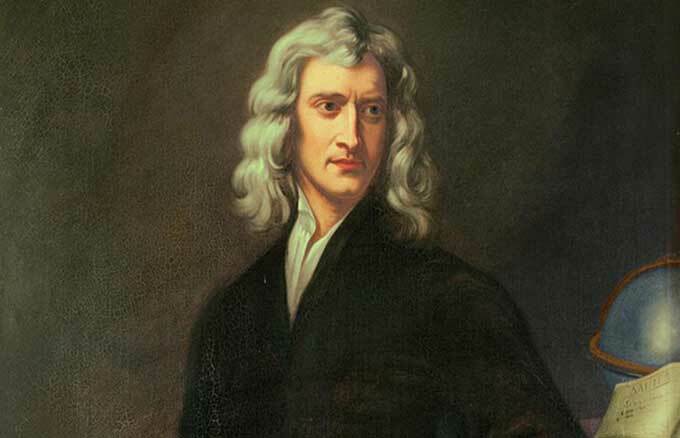 It is a well-established fact that Isaac Newton was a deeply religious man – he took to a very serious study of the Bible, and later in life, famously experimented with alchemy, even to the extent of actively pursuing the Philosopher’s Stone. The list gives us a glimpse into the mind of the twenty-year old Newton and what he deemed important at that period of time in his life. 43 Not craving a blessing from God on our honest endeavors. 46 Peevishness at Master Clarks for a piece of bread and butter. 47 Striving to cheat with a brass halfe crowne. 4 Negligence at the chapel. 7 Denying my chamberfellow of the knowledge of him that took him for a sot.